A Makeup & Beauty Blog – Lipglossiping » Blog Archive Win a bottle of my favourite cleanser! Win a bottle of my favourite cleanser! Oh, hello! Remember me? I’ve been poorly, I’m not quite there yet but I’m feeling a bit better… and I’ve missed you. I’m not declaring the return of regular posting just yet but I’ve got my fingers crossed that I’m over the worst of it. Anyway, let’s get back to it, shall we? Are you feeling Wintery yet? I’m still struggling under my 4.5 tog duvet, rubbing my icy feet up and down the back of my husband’s calves… he likes it when I do that in the middle of the night. We’ve got the heavy duvet out of storage but I need to take it to the launderette for a freshen up and I’m a bit scared of launderettes, I don’t know how to make them work. One thing that has definitely left summer far behind, is my skin routine. Gone are the morning cleanses with melty balms, rinsing off with splashes of warm water… nuh uh, my skin won’t play those games now. 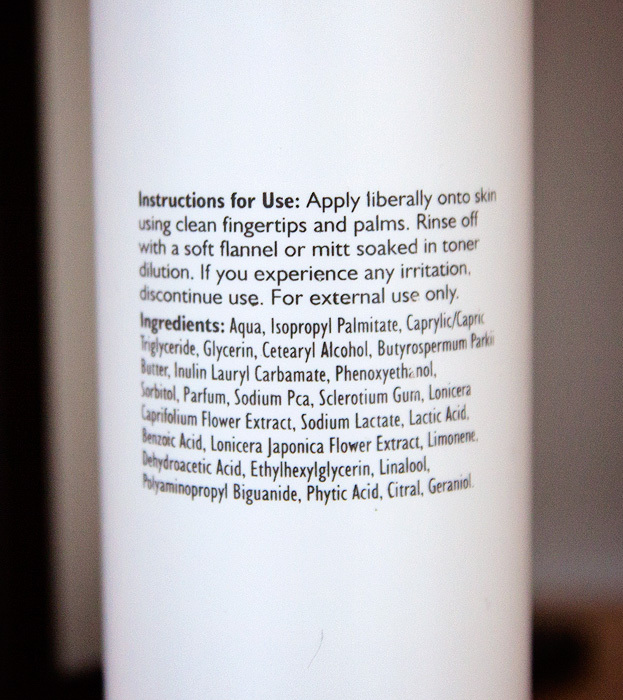 I still use water when I’m removing makeup but in the mornings, I’m all about the cleansing lotion/toner combination. My skin barely tolerates water, perhaps it’s these extreme southern climes in which our water seems to contain more calcium than the actual wet stuff but I’m always left feeling taut and parched post-cleanse. There are a few cleansing lotions that I love, mainly by French pharmaceutical brands including: Uriage and A-Derma but they do always feel a little like a compromise between luxury and the sensible choice. Damnit, I want my luxuriously-scented cleansing routine without compromising on comfort! Enter a relatively unknown British brand by the name of Face The World. I first used their Refresh & Soften Cleansing Lotion just over a year ago when I received a mini-sample through the post. It was love at first wash… but there was a problem. It was only available to buy in-person, via the company’s practitioners and salons, of which there weren’t a huge number. I don’t know about you, but I’m always tempted toward the path of least resistance and when I ran out, I continued to buy my cleansers online. However, I’m pleased to announce that Face The World now retail all of their salon-quality products online for the general public. Including my lovely Rainforest Refresh & Soften Cleanser! 1. It’s got a beautiful lightweight slip and spreadability that means you only need a couple of pumps to cover the whole face. It doesn’t evaporate on the skin during application, so you can massage away to your little heart’s content and then wipe clean once you’re happily cleansed. 2. It removes my makeup and lets me wiggle my mascara’ed eyelashes between my cleanser-covered fingers without causing searing eye pain. 3. 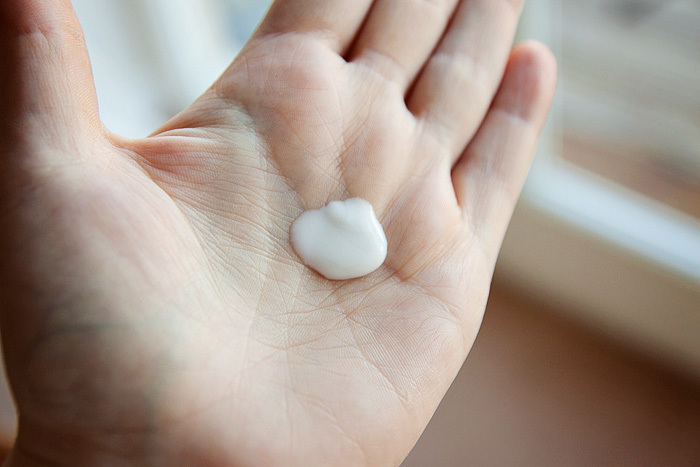 It leaves my skin feeling softened and plumpy. I sort of want to say “tacky” but that’s not a good description… it just feels, treated…. moisturised and cleansed at the same time. I still slap on some pure hyaluronic acid afterward but I’m not left running, screaming for my moisturiser. 5. It comes in a great big 250ml pump and at £21.60, offers good value for money for a salon-quality product. I really think this is more suited to drier skin types like mine… those that benefit from an emollient face wash… whether your skin is maturing or you’re just looking for something less stripping for the colder months ahead, it’s worth checking out. So, now you’ve read about it… how would you like to win one? If you aren’t as social as all that, you can also just leave a message below and I’ll make sure that your name is in the hat for one entry! 3. Winners will receive 1x Face The World Rainforest Cleanser (worth £21.60 each). No cash alternatives. 4. Competition is open worldwide. 5. Lipglossiping.com is the sole promoter of this competition. 6. Personal details will not be kept or forwarded and are only used in the context of this competition to inform the winner(s) of their prize status. 7. Three winners will be selected at random from all entries received. 8. Winners will be notified within 5 working days and will be expected to reply to an email sent to the address used to enter the competition within 5 working days or risk forfeiting the prize. Can I put my name in the hat please? Boohoo,well I have neither facebook nor twitter account. So that’s me out, no fair. Ooh yes, would love to put my name in the hat please! Get well soon! Hiya! I’d love to win this giveaway. Been looking for new products for some time now as I’m bored of what I’ve been using. Love to try this cleanser. I’d love to try this – I prefer creamy/milky cleansers for removing my makeup too (currently using the LRP Toleriane one), and this one sounds very interesting! Thanks for the chance! So glad you’re on the mend, I’d really missed you! Even thought about leaving to a comment to ask how you were but didn’t want you to feel under pressure….Honestly I don’t know how you and my other favourite bloggers manage to post such good stuff in such a consistent fashion (every diary I ever started as a kid whimpered out by about day 3!) but I always find such fascinating – and enabling – content that I really do appreciate all you do. Please enter me, it would be a privilege to use one of your faves, thanks for the opportunity! That’s a great gift, really practical! Thanks! Always down for trying new skincare products! Also, off topic, but where do you buy your pure hyaluronic acid from? Liz Earle launches new Beauty Insider mag!